The first time I went to a gym to train, I was completely clueless about the different types of weightlifting bars. Afraid to ask, I just grabbed the standard bar and used it across multiple exercises – even when I really should have been using a completely different barbell type. Luckily, the bodybuilders at my gym were helpful and quickly educated me. This was before the era of the internet, so their advice was especially valuable. 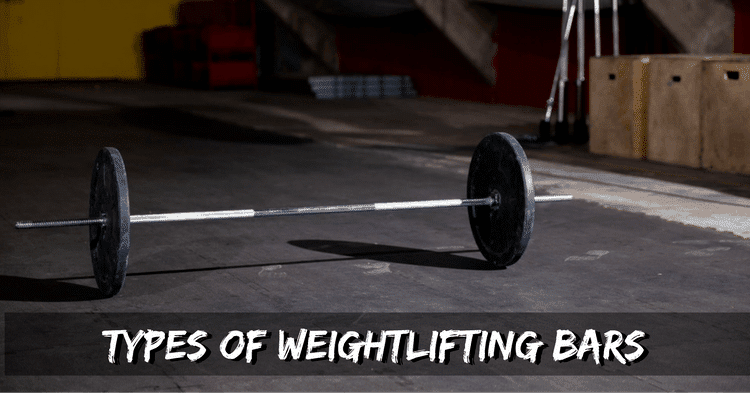 Now I want to pass on the knowledge about the different types of weightlifting bars so you can make the most out of your training or build a better home gym. Do You Really Need to Use All These Types of Barbells? This is the type of weightlifting barbell that you are going to use most frequently. Most have a 1 inch diameter (25mm), though you will find some slight variations in this. A standard barbell for men is typically 7.2 feet long and 44 pounds (20kg) in weight. For women, the standard bar is 6.5 feet and 33 pounds (15kg). The thing to really pay attention to when choosing a standard barbell for weightlifting is the knurling. This is the grooved part of the bar which helps you get a better grip. Depending on where the curling is located, the barbell might be better suited for specific types of exercises. Likewise, some types of standard bars have more or less bend (whip). The bending helps take some of the slack when you lift. Bench Press Barbell: These barbell types need to have virtually no whip to them. They sometimes are a bit wider in diameter to make it easier to hold during bench presses. Squat Barbells: These weightlifting bars will have knurling in the center so it grips better against your back. Sometimes they are thicker and usually have a slight amount of whip. Deadlift Barbells: These bars have a lot more knurling and a smaller diameter so you can keep your grip better during deadlifts. They also have more whip to them. Olympic weightlifting bars might look a lot like standard bars, but there are a lot of important differences. Diameter: Olympic barbells have a standardized 2-inch (50mm) diameter and can only be used with Olympic weights. Note that the women’s bar is smaller at 0.98 inches (25mm). More whip: For serious weightlifters, barbell whip is not just hype. A trained lifter can sync the whip in during clean and jerks and squats to get a slight lift upward. Or, during deadlifts, the bend actually can put the lifter in a more advantageous starting position. Unless you are this serious about lifting though, you probably won’t know how to utilize whip or even be able to lift enough weight to take advantage of whip. Spin: An important difference between standard and Olympic barbells is that Olympic bars have a collar that spins. The spin gives lifters momentum as they ascend and takes strain off of the wrists. Less knurling: When you are lifting huge amounts of weight, the knurling stops helping grip and instead destroys your hands and gloves. This is why the Olympic type of barbell has less knurling than standard barbells. Weight and length: A men’s Olympic barbell is 7.2 feet long and 44lbs (20kg). A women’s Olympic barbell is 6.6 feet long and 33lbs (15kg). Same exercises as you’d use a standard weightlifting barbell, just with more weight. There are also many types of Olympic barbells with various knurling, spin, and whip depending on the exercise. Unless you want to spend a lot of money on many different types of Olympic barbells, it might be worth considering a hybrid bar. These have multiple markings so you can use them for Olympic lifting and powerlifting. A hex bar has a six sides which make a hexagon shape. A trap bar has four sides that make a diamond shape. With both of these types of weightlifting bars, you put your body inside the barbell. The benefit of hex and trap bars is that your body is in the middle of the bar’s center of gravity. This position is safer for deadlifts. It also takes strain off the joints. There are also handles which help you get a better grip. Unconventional trap bar exercises like overhead presses, squat jumps, and pushups. Because of the shape, hex bars are a lot harder to make. So, don’t expect to find a cheap hex bar that can actually hold some weight and won’t start rusting quickly. 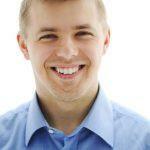 Pay attention to the lengths of the barbell when buying because there is a lot of variances. The bent shape of the EZ curl bar was designed for isolating muscles during bicep curls and triceps extensions. The difference between EZ curl bars and standard bars is that curl bars are shorter and lighter weight. The angled hand placement really makes it more comfortable to do a bicep curl because your wrists have more pronation and less stress is placed on them. There are standard EZ curl bars and Olympic EZ curl bars. Standard curl bars are usually around 11lbs (5kg), 47 inches long, and 1 inch in diameter. Olympic curl bars can weigh upwards of 20lbs, are up to 52 inches in length, and have a 2 inch diameter. A lot of people are fans of Super curl bars. Compared to standard EZ curl bars, these have more acute curves so you can train with parallel grip. Also known as a Swiss bar or hammer curl bar, a triceps bar is shaped like an oval with two metal bars going through it. You grip these bars while doing upper body exercises. The bars create a neutral grip and thus reduce shoulder strain. Check out these best triceps bars. Most people stocking their home gym will want a standard triceps bar which has a 1 inch diameter. The main thing to look at here is the grip: Does it have curling or a rubber grip? Note that some versions of the Olympic triceps bar are pretty weird looking. They have multiple grip bars and are a lot longer. You’ll get a bit more versatility out of them though. If you are trying to build a home gym on a budget, then you can probably get by with just a standard barbell. However, investing in a specialized barbell type can really pay off by preventing injuries and helping you keep proper form. Start with the basics and build from there!